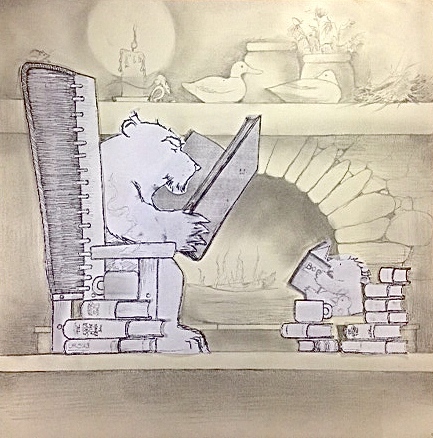 OLD BEAR AND HIS CUB and my other books). I hope you enjoy the video! 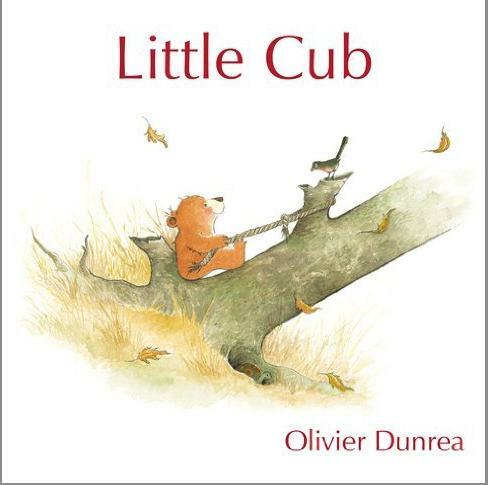 Old Bear and Little Cub update: Two new books in the series are now in the works: A BED FOR LITTLE CUB and LITTLE CUB AND THE FIREFLIES! I am excited to be adding two new books that will allow readers to get to know these two loving characters better. 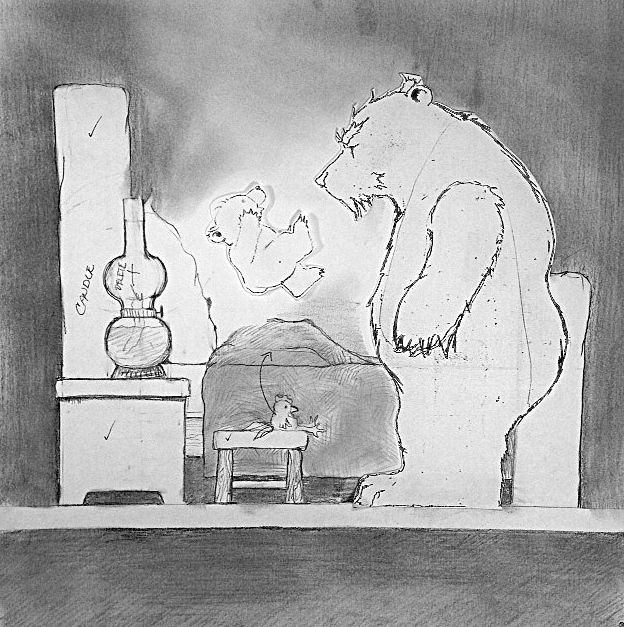 Here are a few studies and layouts for the next book in the Old Bear and Little Cub series. 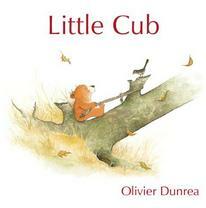 With each book I hope to show the reader a more in-depth glimpse into the life of Old Bear and Little Cub. 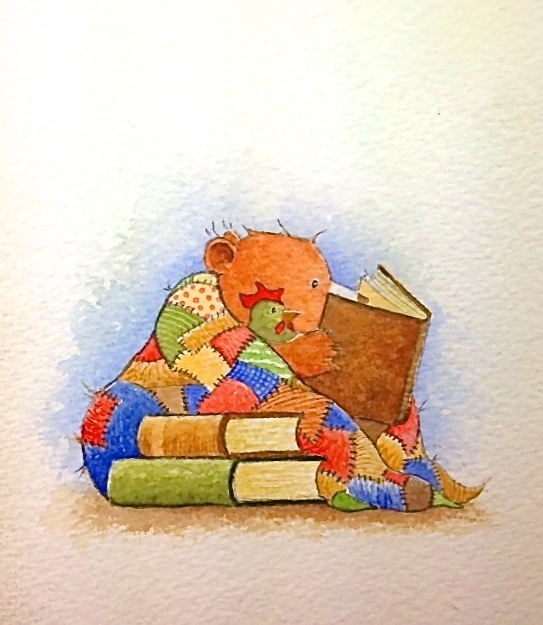 Notice that books are a big part of their life together. 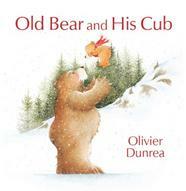 The chair that Old Bear is sitting in is based on a traditional straw-back chair that are made in the Orkney Islands, Scotland. As I work on the sketches I often make quite a few changes even as I'm working on the finished illustration. The oil lamp wasn't right for the bed sequence in the book so I changed it to a candle. It works much better. The sequence comprises five pages and as time passes the candle burns shorter. These kind of details are never missed by young children who are the most observant readers I've ever come across.